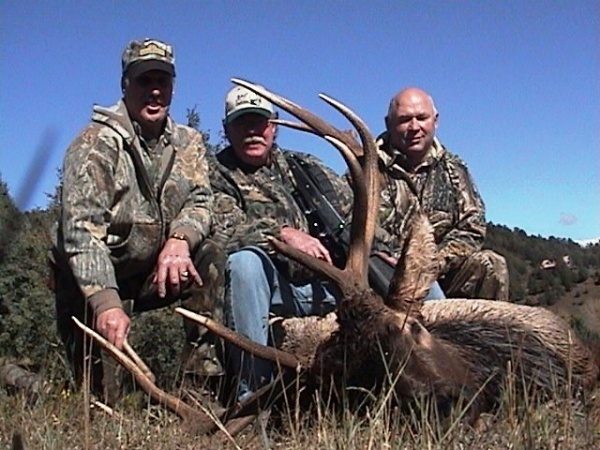 There are several New Mexico elk hunts during the month of September. 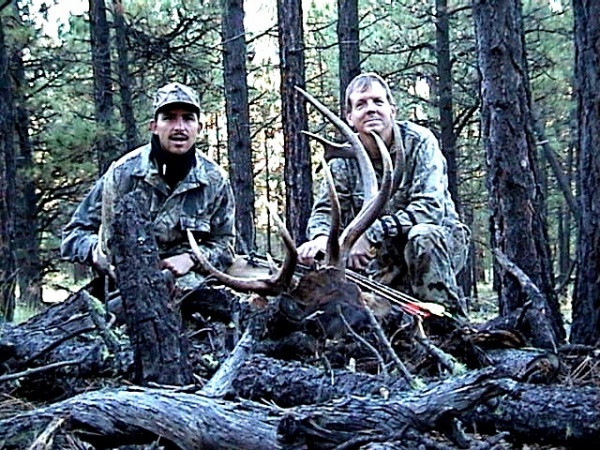 Each hunt is five days with two hunters per guide; we allow a maximum of four hunters per hunt to assure the best chances for success. 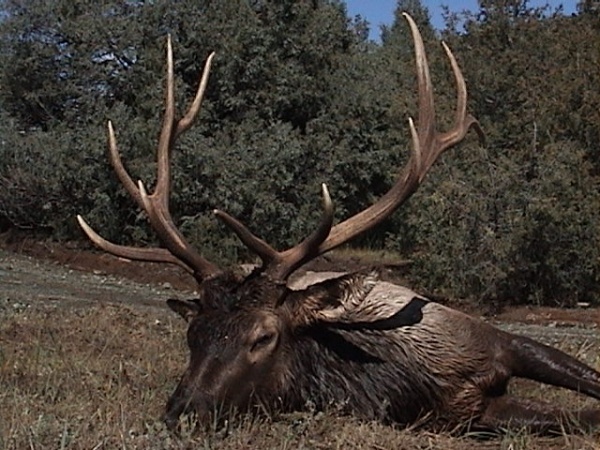 The “RUT” begins in the first part of the season and is usually in full swing after the 10th of September. 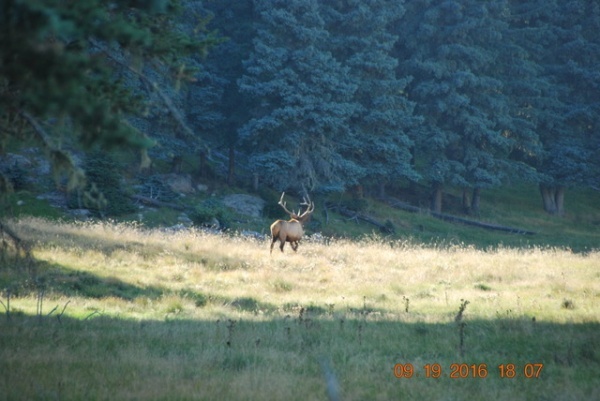 Bugling bulls can be heard throughout the archery season. 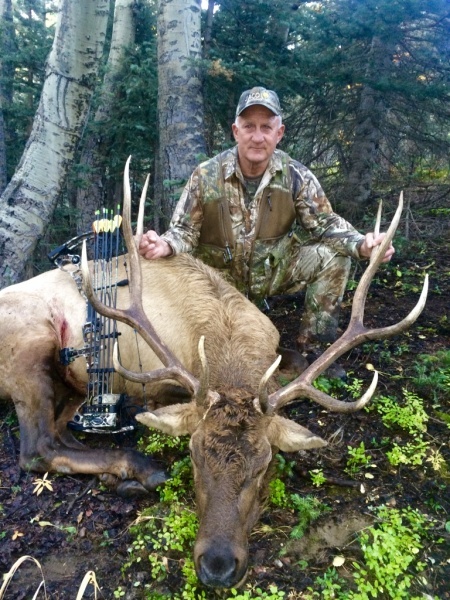 If you love the sweet sound of the infamous Wapiti then this hunt is for you. 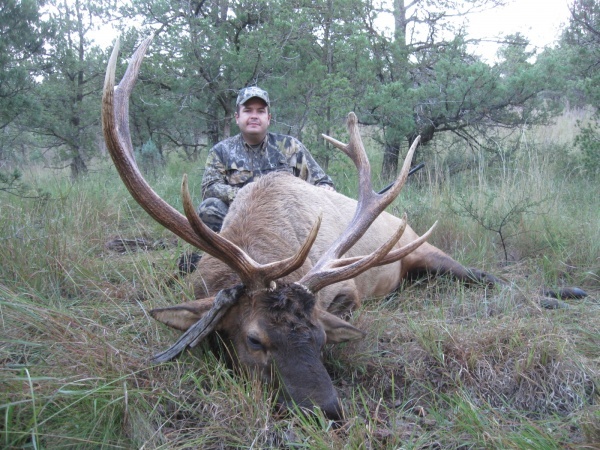 Several 300″ – 380″ bulls are extremely vulnerable during this time of year. Combination elk and deer hunts are available during some archery hunts. 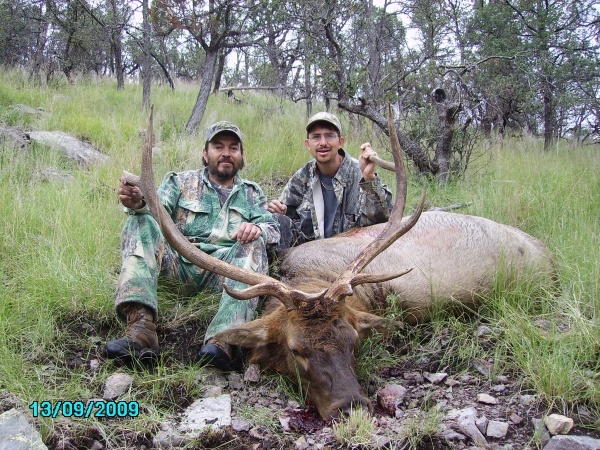 JACO Outfitters LLC can assist you with combo hunt arrangements and hunt details. 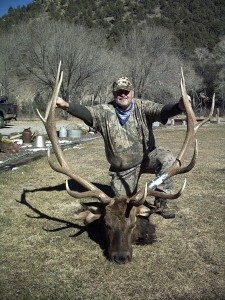 October is rifle season for elk hunts in New Mexico. 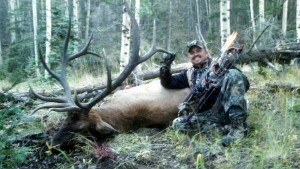 The first elk hunt of the season begins the 1st week of October. 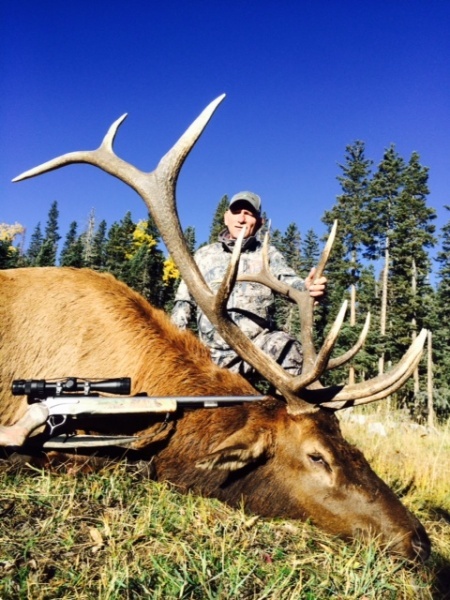 We provide three public rifle elk hunts throughout the month of October, with private land hunts available from October 1 through December 31. 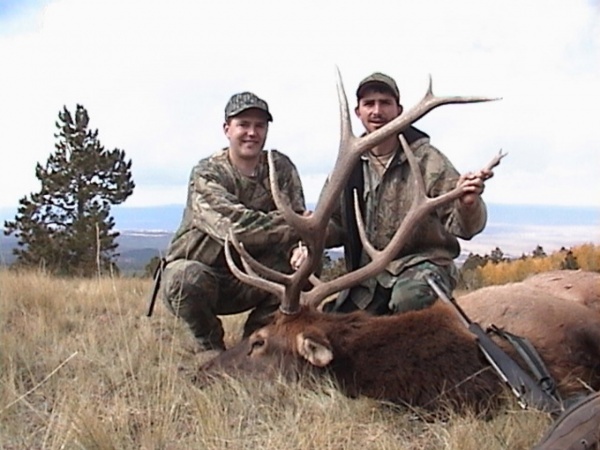 Muzzleloader hunts are available from the first week in October through November. 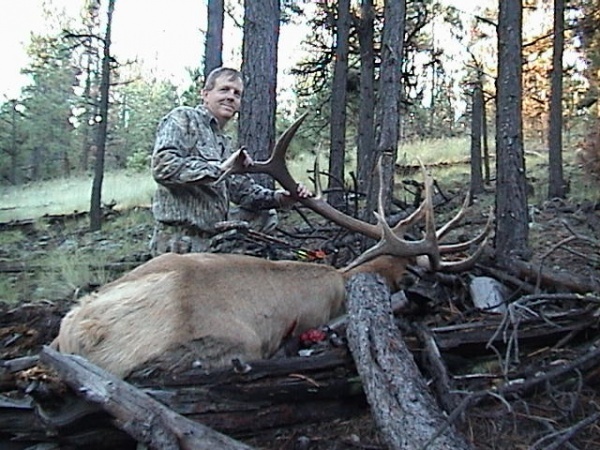 Elk hunting can be one of the toughest hunts a hunter will experience because of the terrain elk live in. 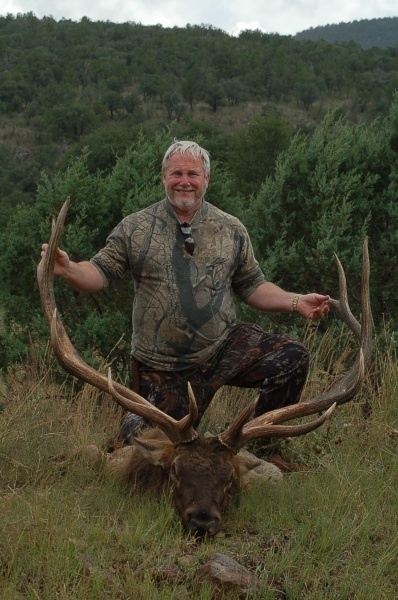 It is one of the most physically demanding hunting sports most hunters will ever endour. 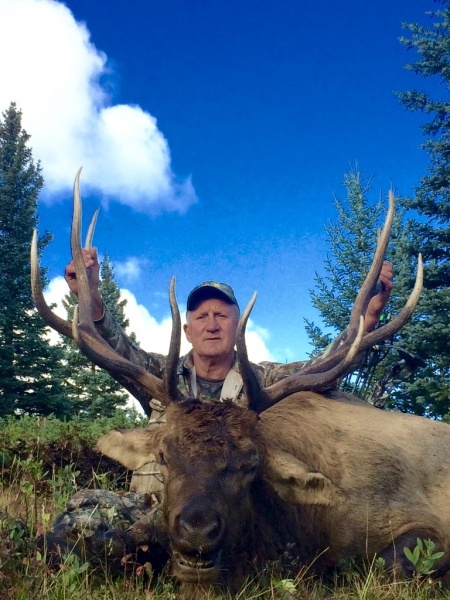 Most Eastern deer hunters who head West to elk hunt practice bugling and mewing on a cow call but often forget about one of the most important aspects of getting ready for an elk hunt: GETTING IN SHAPE!!! 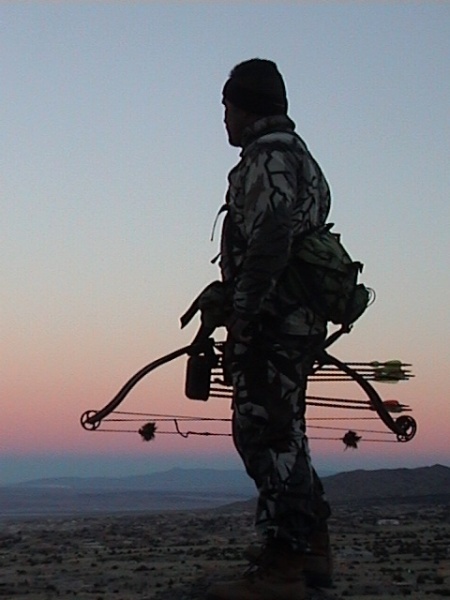 If a hunter is planning to hunt out West for elk, he should purchase a quality backpack and start hiking with it on his back. 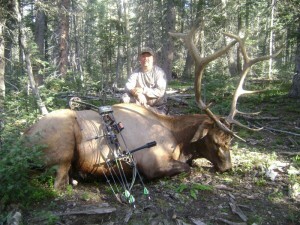 Often being in shape is the last thing on a hunter’s mind as he gets ready for elk season, but it should be the first. 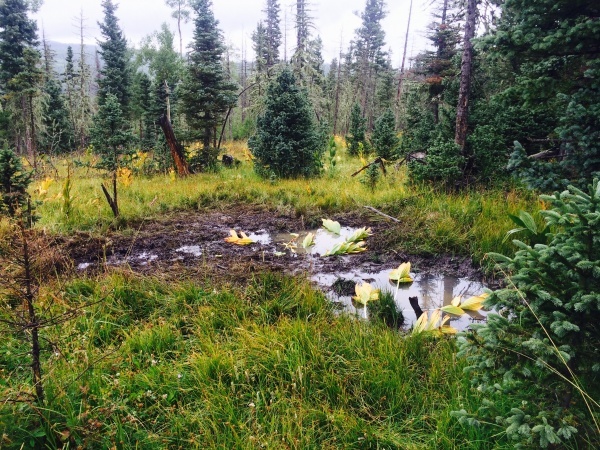 Elk hunters who want to be successful should plan to hike a few miles off the road to find unpressured elk. Although a few miles may not sound like much, walking a few miles in the mountains is a lot different than walking on a sidewalk out East. 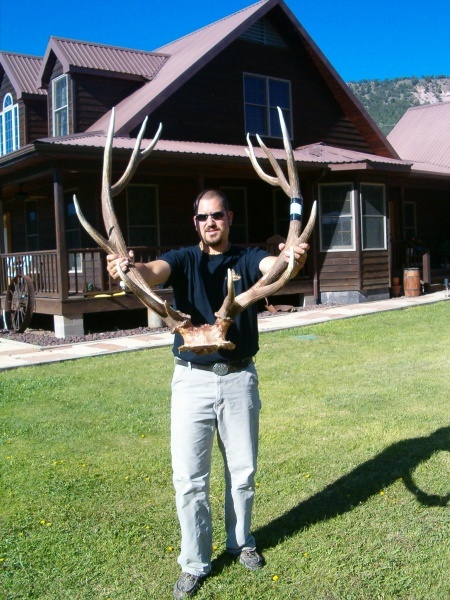 The Western mountains in New Mexico can be tough walking for deer hunters who are used to walking on level ground. 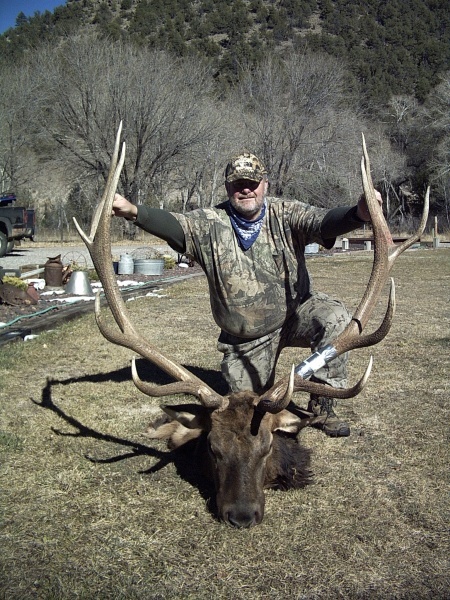 To prepare for walking up steep mountains, elk hunters should walk up the steepest hills they can find in their neck of the woods and hike up and down them regularly with a pack on their back. When preparing for an elk hunt, having at least 30 pounds in a pack is a good idea. 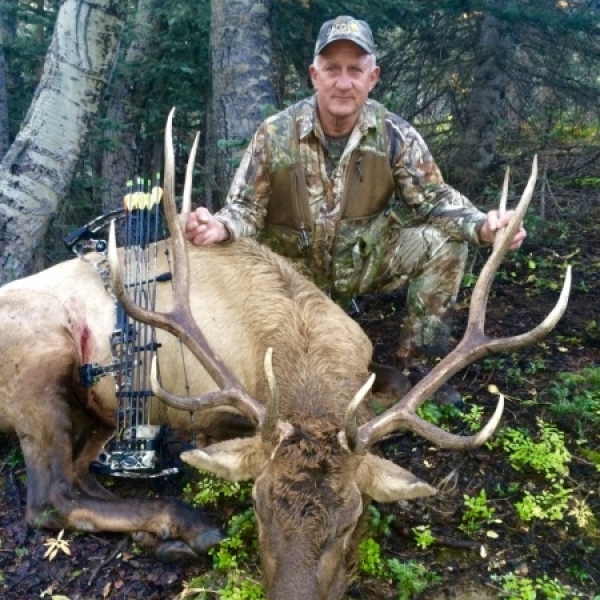 Elk hunters should pack up the gear they plan to take with them into their elk hunting backpack and hike with it on their back a few times a week. This prepares their back muscles and leg muscles for the elk hunt. It also helps you lose weight. Every extra ounce of weight you can shed from their body will be less weight you have to bring into the woods. 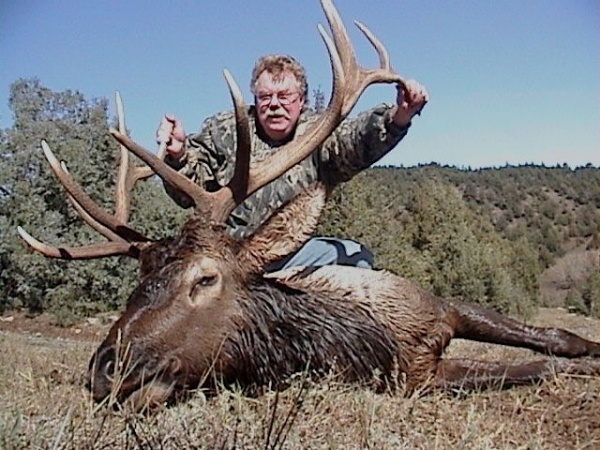 An overweight elk hunters who realize too late that they didn’t prepare physically for an elk hunt may find an elk hun extremely challenging. 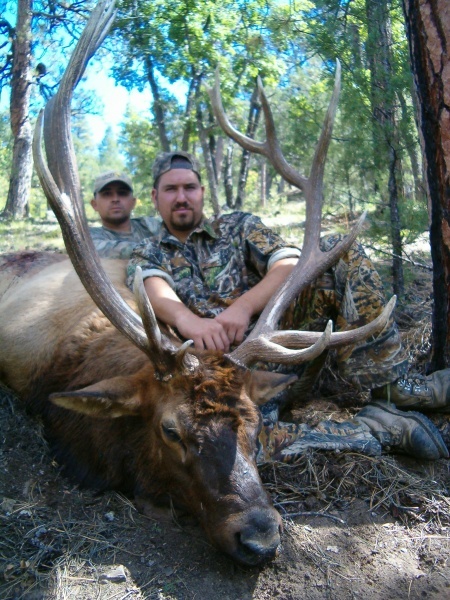 They end up sitting in camp or in the pickup most of the time instead of elk hunting out in the field where elk hunters should be. 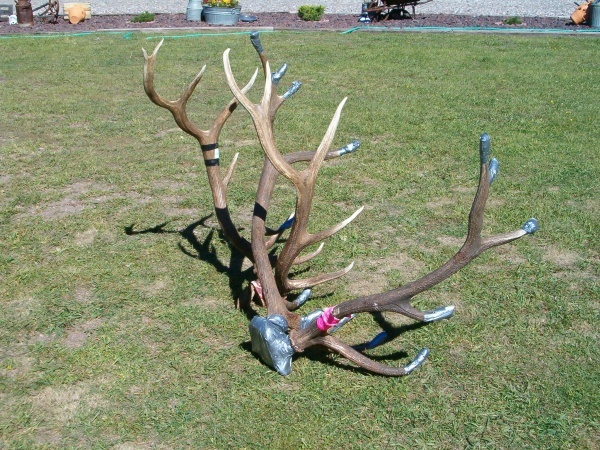 When preparing physically, it is important to realize that elk live in the high country where the air is often thin. 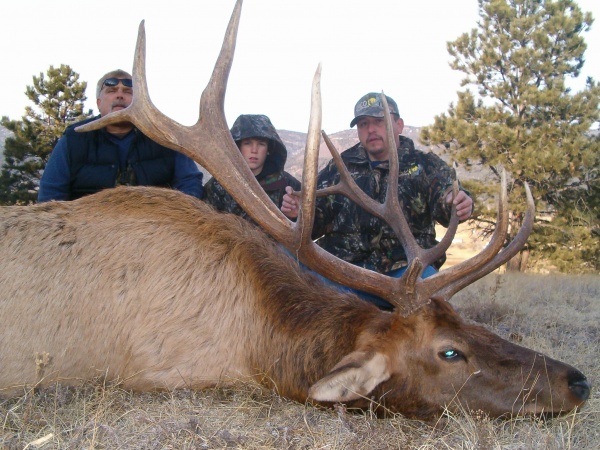 It can be very difficult to prepare Eastern lungs for Western air, but there are a few things elk hunters can do. 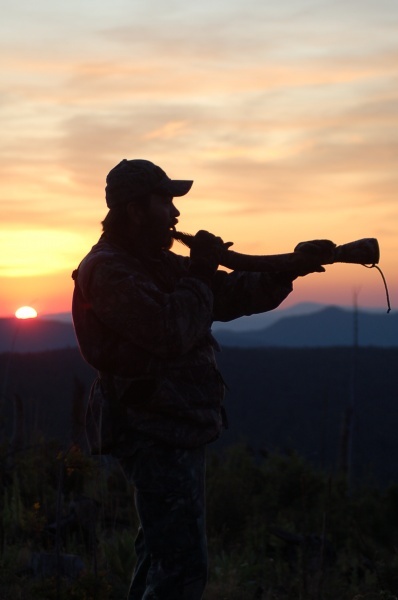 When training, elk hunters need to breathe as much as possible from their nose and keep their mouth closed. This makes lungs work harder and helps prepare them for the hard breathing they will encounter out west. They can also run very fast up side hills for short distances or ride a bike uphill as fast as they can for short distances to strengthen their lungs. 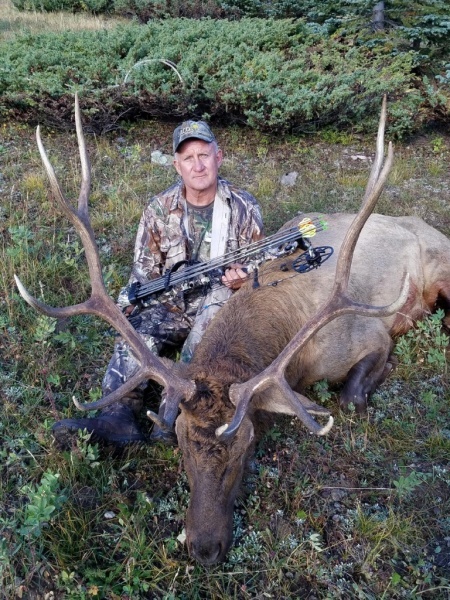 You would hate to get into a position where you need to get up a hill to take a shot at a once in a life time Bull Elk and you are unable to do it when it counts. Our best advice is: Get In Shape!!! !